Tree protection is a highly important part of planning your planting scheme as it will protect your investment and ensure it's future. You may be looking to protect your trees and hedging from a variety of factors incuding wild animals, stock, people or wind. The type of factors involved will affect the type of protection you choose. The other major factor to be considered is the protection of your plants from surrounding weeds as they will have a major impact on a young plants ability to grow and thrive. Good weed control is very beneficial in the first two years after which your trees will shade out any competition. 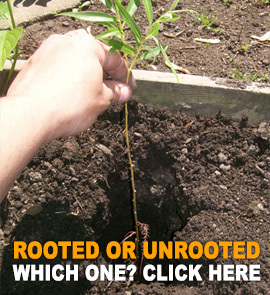 Weeds and grass will slow your trees considerably if allowed to compete in the early stages. 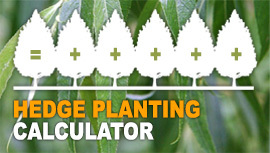 Ideally we would recommend maintaining a weed-free area of 90cm diameter around each tree. Weeds can be controlled using mulch; either natural, such as compost or rotted manure, leaf mould or grass clippings; or manufactured matting, either in a single square for individual trees or as a strip suitable for hedging. The mulch will keep the sun off the soil, trap the weeds and also trap moisture in the soil. Whilst this isn't a replacement for watering in the new plants, it can mean it needs doing slightly less often. Careful use of contact or selective residual herbicides can also be effective. There are various types of tree protection available and the choice will depend upon the nature of the expected threat. Some protection will be able to protect against a number of different problems. With our willow and poplar, the main form of protection required is against rabbits and small vermin. The transparent spiral guards rabbit sit around the young tree and prevent rabbits and voles stripping the bark. It is usually easiest to fit the guard around the stem of the tree once planted, and then, if required to push a bamboo cane down through the guard and into the ground to provide additional support. A bamboo cane is not needed to support the guards if the tree is over 90cm (3 ft) tall. If you are protecting your plants from something larger than a rabbit then you might want to consider a tree or shrub shelter guard. As well as providing protection from local wildlife, they will also provide the plant with a unique microclimate to help boost the early stages of growth, whilst also providing protection against any localised spraying of herbicides. It is advisable to water the cuttings and rooted stock in periods of dry and hot weather, to enable the roots to form. A light dressing of fertiliser in the second year will boost growth further - but do not overdo it. 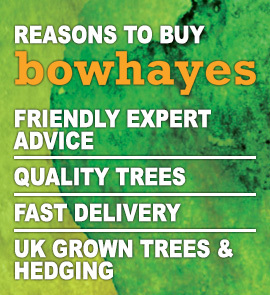 If anything is still unclear contact us on info@bowhayestrees.co.uk or telephone 01404 812229.